b.geos has been founded in 2017. It is based in Lower Austria. Annett Bartsch, the founder and managing director of b.geos, has more than 20 years experience in Earth Observation applications and basic research (publication record). We provide value-added products, consultancy in remote sensing technologies and applications, as well as training. We conduct basic research in close cooperation with universities and research institutions. 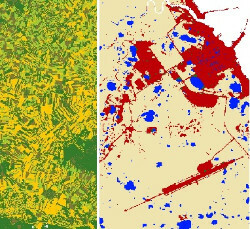 b.geos develops services based on the Sentinel missions and high spatial resolution observations from space.